As a Saga Fellow, and to be an effective tutor in general, one of the most important things you can learn is to tailor your instruction to best support the needs of each student. Every student is different, and as a Fellow, it’s important to recognize your students’ entry point in a given lesson, so you can differentiate your lessons and help each student succeed. Saga Site Director Julie Dziedzic at Sullivan High School in Chicago shared four strategies Saga Fellows use when differentiating their lessons. 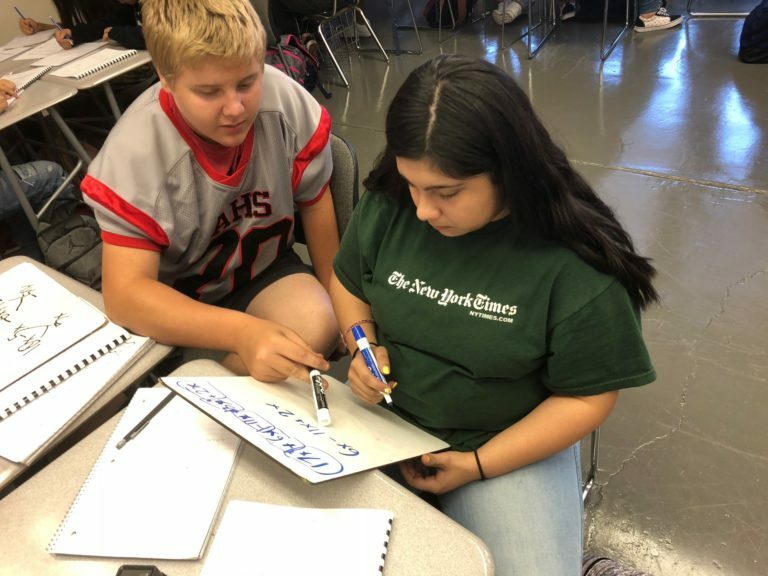 Kevin (6th grade Algebra) is always willing to help his partners in a tutorial by breaking down problems, praising them for working hard, and sharing different ways to solve the same problem.